Headed into summer, peak travel season is upon us. These next few months are bound to be filled adventures of all sorts, day-drinking in the city, relaxing in the country, and lounging on the sand with whatever warms your heart right there beside you. Whether you’re headed out on an international journey, hitting Vegas with your girlfriends, going camping with the family, meandering urban alleys with your loved ones, or taking that solo adventure of the soul-enriching kind – you’re bound to want to be clothed, comfortable and carefree. Am I sensitive to the material? Does it exist in my size? Does it come in the color I’d like? Does it fit my travel needs? The list goes on and on. Sometimes you need a specific something for your travels – to head to a safari in Kenya earth tone colors are best, so as not to be eaten by the dreaded tsetse fly. In India lightweight and modest coverings are preferred. Hopping trains in Europe, layers that adapt from the magic of the day to nighttime fun are the key to comfort. How do you find what you need? 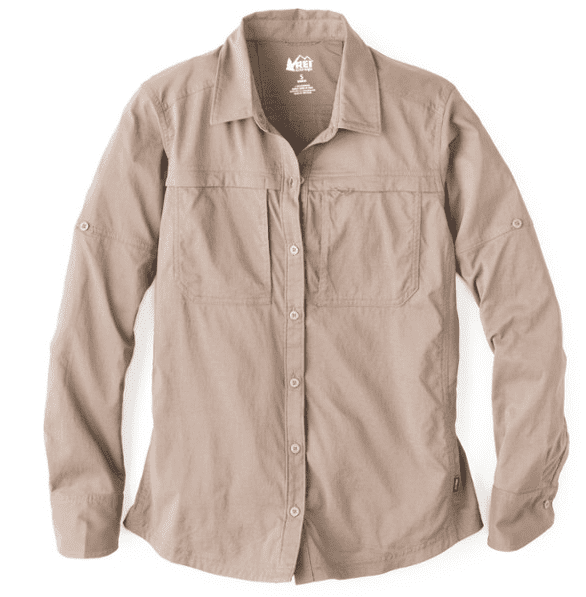 Here are some suggestions to narrow down the options for your next travel shirt purchase. What do you want your shirts to do for you? There’s more to your clothing than meets the eye. Whether you’re focused on material or fit, price or designer – there are categories that matter most to you. Journeys may not be easy, but our clothes should feel that way. No one wants to feel confined or uncomfortable in their travel outfits. Clothes need to fit in with our lifestyle and definitely not the other way around. What matters in travel clothing? 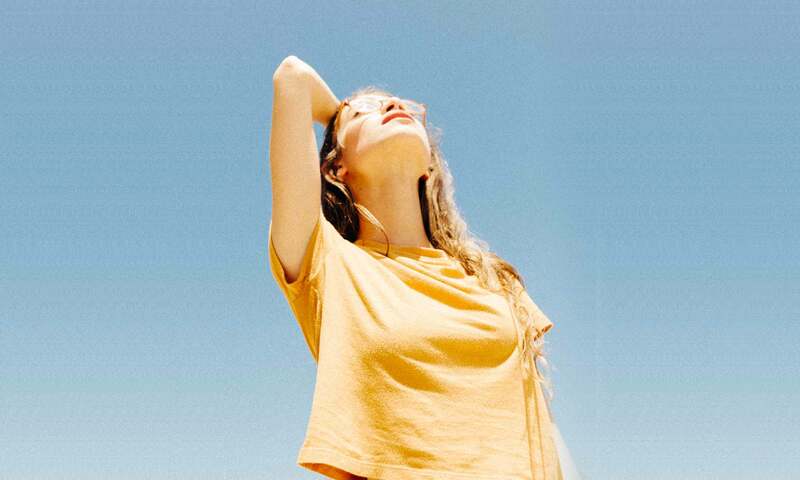 These women’s travel shirts rise to the top in all categories. This versatile shirt is perfect for travel. Reversible front to back, so you have two options for necklines – cowl or boatneck. The sleeves also change length from cap sleeve, sleeveless, to dolman sleeve. The secret is the hidden snaps underneath the shoulder, and hidden in the sleeve. The lux, eco-friendly fabric (derived from beech tree pulp!) is easy to dress up or down, making it an essential piece for both travel and everyday life. This shirt is advertised for every day but it’s also perfect for travel. A fuss-free go-to shirt that lives up to its namesake. And what’s up with the sudden surge in beech-wood pulp derived fabrics? Just like the Evolve Top, this one is made from a cotton, beech-wood modal blend. 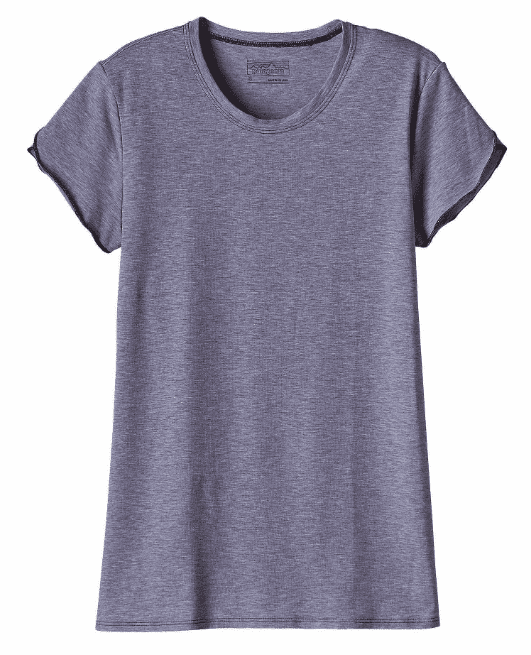 Because it’s a 60% cotton blend it isn’t as sweat wicking as some and will be slower to dry. The 40% modal will help limit the wrinkles in transit though. 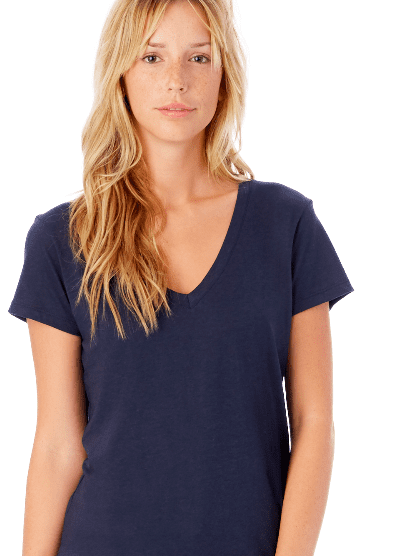 This shirt is a solid choice as a staple of your capsule wardrobe. Buy a neutral color. If you’re looking for a go everywhere, pull over, long sleeve layer, this is it. Looks great over leggings and this shirt covers your bum. With a beautiful drape and UPF 50+ sun protection,an open V-neckline, 3/4-length sleeves and a box pleat under the back yoke. The curved hem in back is slightly longer than straight hem in front. Side slits provide space to move. Form meets function in this shirt, in fun colors. 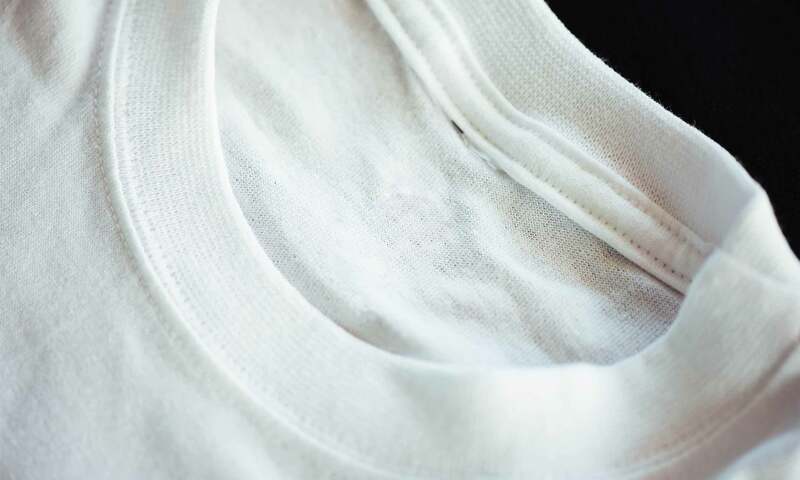 Soft, moisture wicking & quick dry; highly packable. 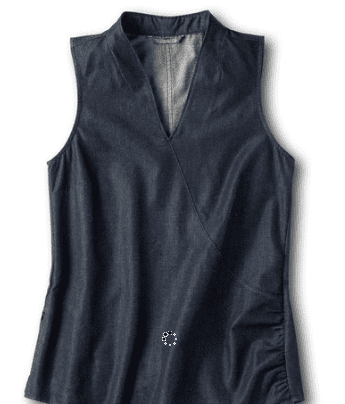 Convertible sleeves, light weight, and UPF 35 with under arm mesh vents. 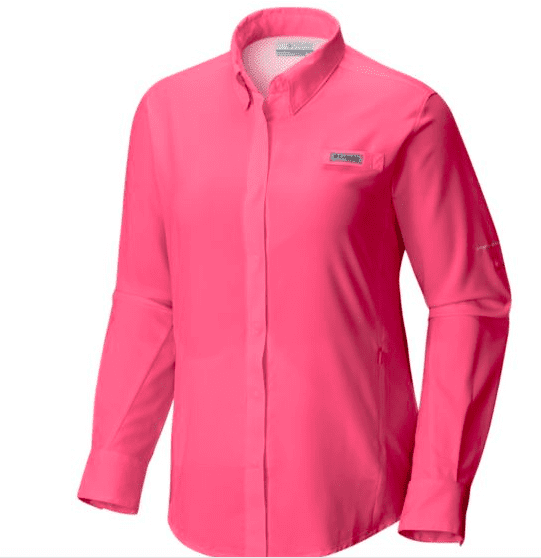 A lightweight T that wicks moisture, dries fast, packs up small and boasts a UPF 50+ rating. 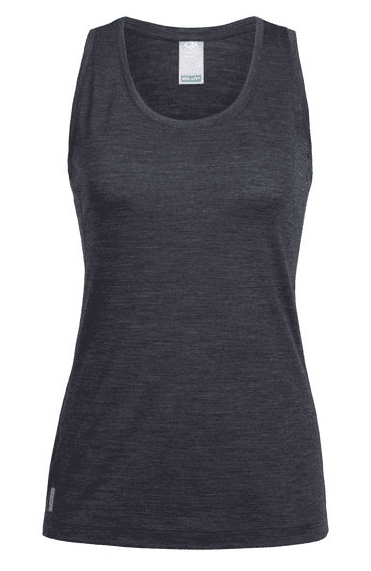 Packable, lightweight, summer tank in merino wool; yes please! Think of who you are, where you go, what your travel dreams are, and where your journeys tend to take you. Are you an active traveler, sight-seer, beachgoer, nightlife wanderer, or a mixture of every type of all things awesome? Consider your style when choosing your next travel shirt. Those 100% cotton t-shirts might feel great and cost less, but they’re bound to wrinkle the minute you pack them. The synthetic materials might be fully wrinkle-free, but they’re not built for every skin type. How can your travel shirts pass the wrinkle test? Laura Lopuch suggest the scrunch test: ball up a corner of the fabric and squeeze it tight for a few minutes. If the wrinkles don’t stick it will pack well. Shawn dives into the details of those new synthetic and technical fabrics that mitigate the problems with good old fashioned cotton. Keep in mind that when you travel, you’re not taking the entire closet in your travel backpack. Before you shop for those expensive extras consider the type of climate that draws you in, the season you tend to travel most, the type of travel you tend to do and outings you have planned. Cold weather travel: The ability to layer is key, moisture wicking, breathability, warmth, and fit under a variety of jackets might matter too. 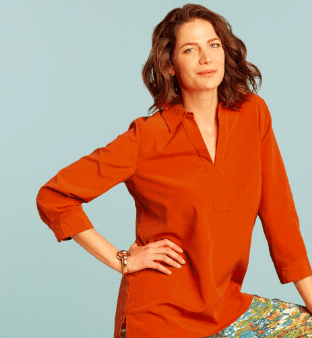 Shoulder season travel: Layerable travel shirts for cooler evenings and warmer days, consider the type of fabric, versatility, wrinkle resistance, wicking properties, and sun protection. 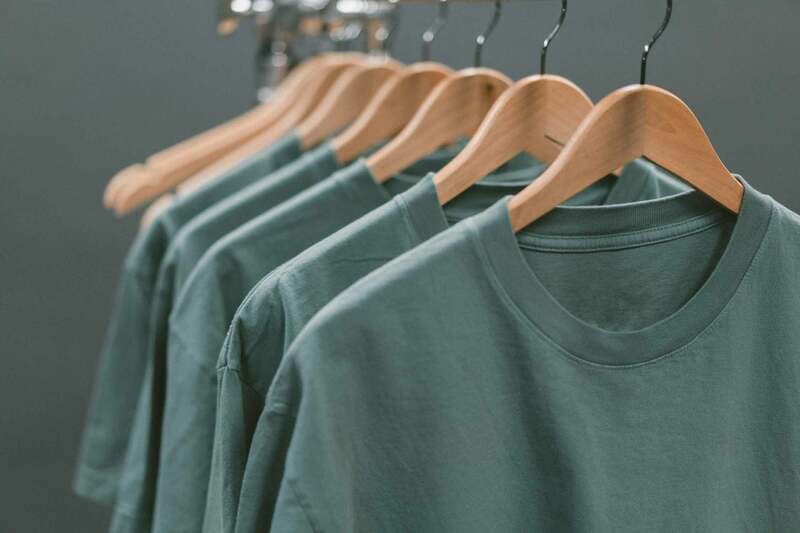 Whether you spend hours browsing the racks at REI or spend your pajama filled evenings clicking through the aisles at Amazon, here are some of those brands to help guide your travel shirt-shopping journey. Travel shirt shopping is an adventure on it’s own. Know your style, figure out your comfort level necessity, then focus on versatility and packability. Whether you find the perfect travel shirt online or in a store, buy two if you love it!